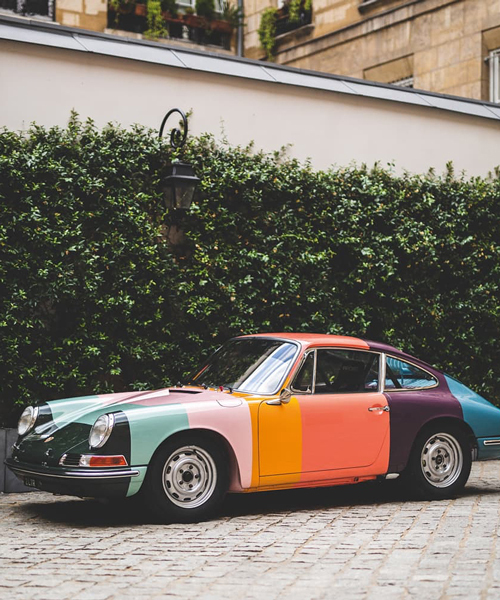 a 1965 porsche 911 model has been given a bold redesign using the iconic stripes of british brand paul smith. the classic racer debuted its multicolored makeover when it competed at the vintage sports car event, le mans classic, over the weekend. 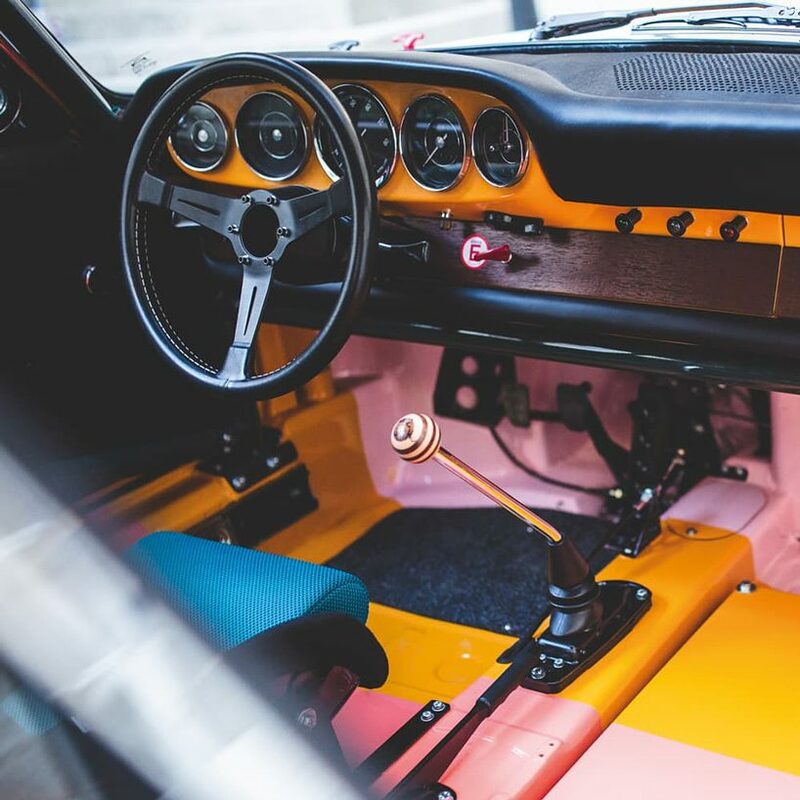 the aesthetic continues from the porsche‘s exterior to interior, boasting a dark green roll cage, racing seat cushions in petrol blue, and a signed wooden gear shift. most of the car’s interior fittings have been stripped away, allowing the designers to continue the stripe motif throughout the car’s floor and tub. the project reflects the long-seeded connection between the iconic british fashion house and the world of cars. paul smith has previously collaborated with land rover on a one-off edition decorated in a palette of 27 individual colors. 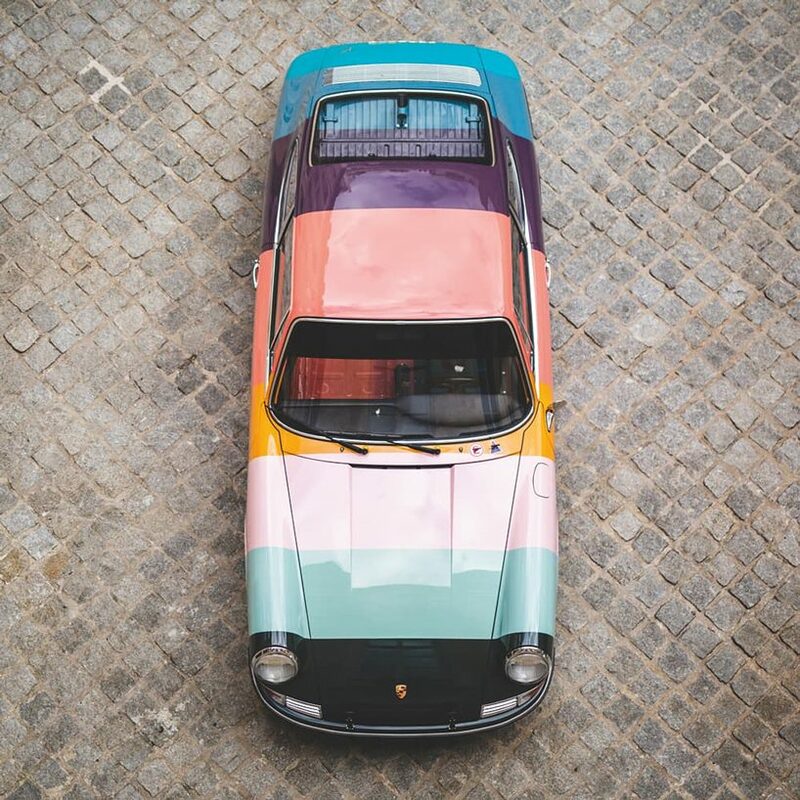 the makeover is a special collaboration between paul smith and james turner—founder of sports purpose, a car garage dedicated to porsche customizations.